An Austin, Texas, police officer is being credited with saving the life of his colleague’s daughter during a traffic stop. According to KTLA.com, Officer Dustin Clinkscales of the Austin Police Department pulled over the woman on July 5 because he thought she was driving while talking on her cellphone. But once he walked up to the car, he realized that she was choking and using the phone to try and call for help. Clinkscales immediately sprang into action, performing the Heimlich maneuver until the item in her throat—a biscuit—dislodged. 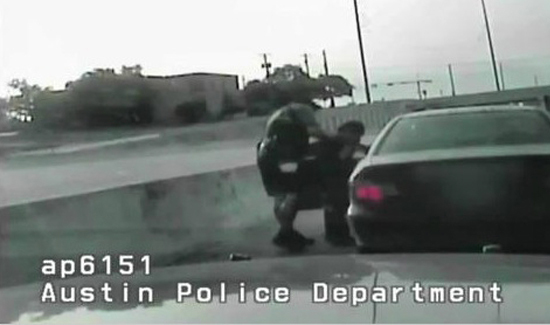 The entire incident was captured on the officer’s dash camera. But wait, there’s more: the woman Clinkscales saved is the daughter of an Austin police detective.